One of the advantages to going to a designer for your photography, is the advantage of having custom layouts tailored for your needs! Rather then having to pick from a collection of standard and "premium" designs for cards, albums and layouts, we work directly with you to create one of a kind photographic products to meet your needs and desires. Its all part of our business philosophy of providing bespoke services that happen to include photography, rather then in the business of selling you photos. 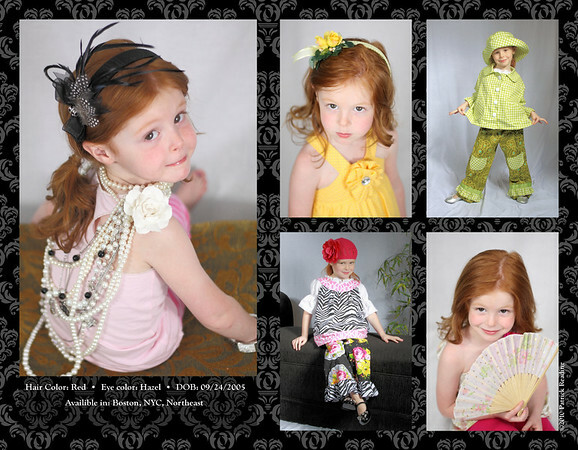 For example: our premier partner Kspin Designs crowns a Kspin Kid of the year and provides resources for that child to expand their modeling opportunities. 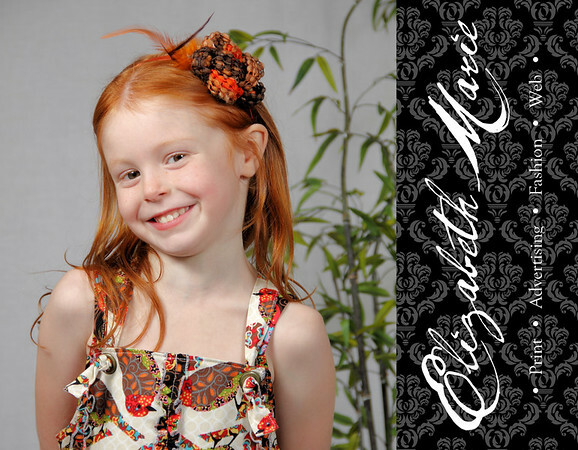 For this years Kspin Kid, Elizabeth, We provided a composite card for modeling agencies in the New England region. 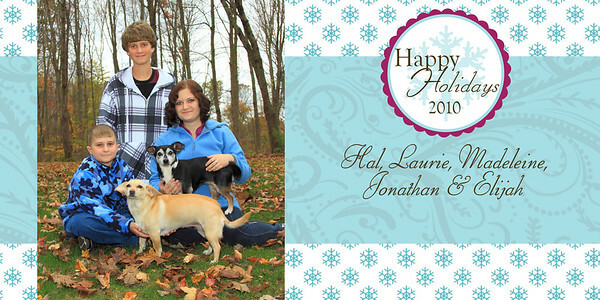 This being the holiday season, we also provide custom card services for our clients The Robinson's were looking for a personalized card for their holiday greetings. We were able to meet their specific requirements and exceed their expectations. We take the same care with album design, custom photographic mattes, and other specialty products. Come talk to us and let us make you look your best, in photograph and print.